Indian Institute of Spices Research, it is a Research Institution and it is affiliated to Bharathiar university. 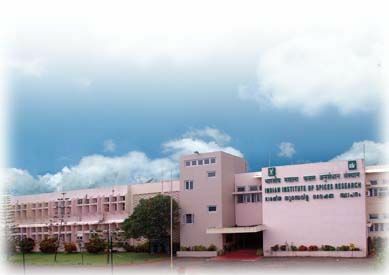 The Indian Institute of Spices Research (IISR), Calicut a constituent body of Indian Council of Agricultural Research (ICAR) is a major Institute devoted to research on spices. In 1976, it started as a Regional Station of the Central Plantation Crops Research Institute (CPCRI), Kasaragod engaged in research on spices. A National Research Centre for Spices was established in 1986 with its headquarters at Calicut, Kerala by merging the erstwhile Regional Station of CPCRI at Calicut and Cardamom Research Centre at Appangala, Karnataka. Realising the importance of Spices Research in India this Research Centre was upgraded to Indian Institute of Spices Research on 1st July, 1995. The laboratories and administrative offices of the institute are located at Chelavoor (50m above MSL), 11 km from Calicut, Calicut District, Kerala on the Calicut-Wyanad road (NH 212) in an area of 14.3 ha.